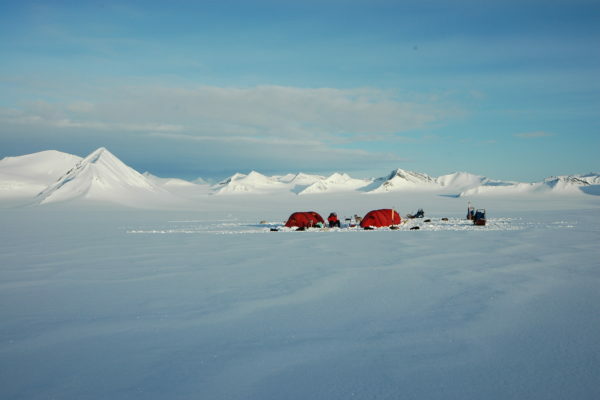 Svalbard is as close as most people will come to the North Pole while still experiencing its pristine and harsh spirit. 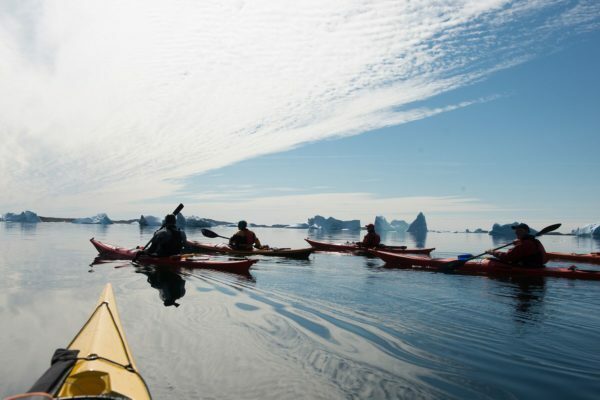 Here you will travel through an area rich in polar history with towering glaciers, snow drowned landscapes and unique opportunities for wildlife encounters. This area of the archipelago is named after King Oscar II of Sweden. Here you can travel the “King’s Road” towards the “Queen’s Pass”, behold the “Three Crowns” and ascend “King Mountains”. You can then continue on to Trollheimen, the Troll’s Home, and have a crack at the “Great Troll” or “Witch Mountain”. The south-eastern areas of the Oscar II Land is easily accessible by boat from Longyearbyen, where the Esmark glacier provides a stunning start to the trip. 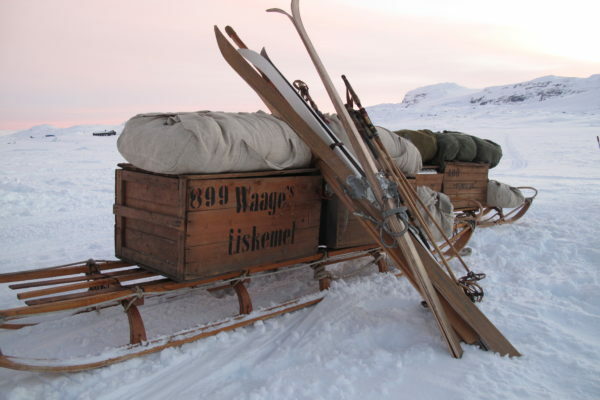 The best way to explore the Oscar II Land is with skis, tents and sleighs. It takes a few days, some equipment and a sense of adventure to access this remote area. Upon arrival in Longyearbyen, we have a day to distribute and go through equipment, plans and procedures before we board the boat to cross Isfjorden. Upon arrival at Ymerbukta the ice will determine how we begin the trip. After being set onshore we’ll start to ascend the Esmark glacier. From the Esmark glacier there are possibilities in every direction. If we have 7-10 days, we can travel all the way to Ny-Ålesund – a trip that crosses the entire ‘royal’ land. The roughly 100km route, depending on route choices, is varied, unspoiled and magnificent. From Ny-Ålesund, a special experience in itself, we then take the boat back to Longyearbyen. If we have 3-6 days, Trollheimen offers pristine endless landscapes with many skiable summits and descents, before returning to the Esmark glacier where we can explore magnificent ice caves. We will be picked up by boat in the same place as we started and return to Longyearbyen where we can treat ourselves with a celebratory dinner at a fine-dining restaurant. Roald Amundsen and Robert Falcon Scott both aimed to be the first to reach the South Pole. Amundsen won and took credit. Scott and his men suffered the loss, and tragically died on their way back. 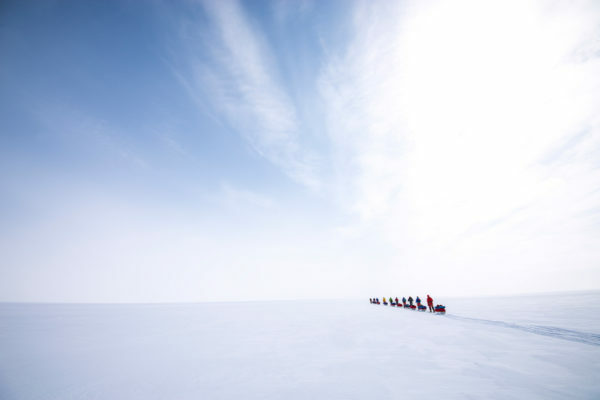 Now you can be part of Amundsen’s South Pole journey and relive this historical race.